About Regional Group of Institutions College Regional Group of Institutions was a revolutionary educational initiative to create a 4th category for this very student. A group of alumni from leading B-schools like IIM-XLRI got together to create a B-school that will endeavor to meet the requirements of the corporate world through quality academics and corporate linkages and at affordable fee. Regional Group – a movement that will shake up the lords of MBA education ecosystem forever and make available quality education to Indian students. 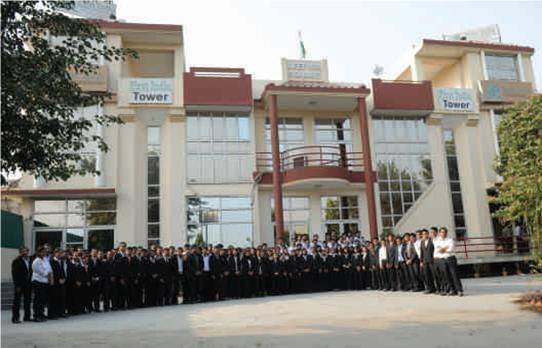 The first campus of Regional Group of Institutions was inaugurated in Gurgaon, delhi-NCR on May 13, 2009 and first batch was admitted for the 2009-11 session. St. Thomas Management Institute offers 3 Years regular Bachelor’ of Business Administration (BBA) program from Maharishi Dayanand University, Rohtak (Haryana) and Approved by All India Council of Technical education, New Delhi. It is an extension of the traditional BBA with interactive teaching sessions and work experience. It is application oriented and gives practical exposure to the students along with the classroom theoretical knowledge of business & industry. In this course, the student undergoes On-the-Job Training from the 3rd semester onwards. On completion, the students get a regular Management degree as well as the industry exposure and experience giving them an edge over traditional BBAs. Admission Eligibility Criteria Candidate should have completed PUC / 12th std. / 10+2 or its equivalent with 45% Marks. affiliation to MD Univ., Govt. of Haryana for MBA/BBA/BCA. Best faculty among Business Schools for BBA: IIM- XLRI Faculty. Extensive corporate exposure through guest faculty & international experts’ inputs.